We are proud to show you our most ambitious project: Immosalou, a real estate agency specializing in the purchase and sale of beachfront properties in LA COSTA DORADA. 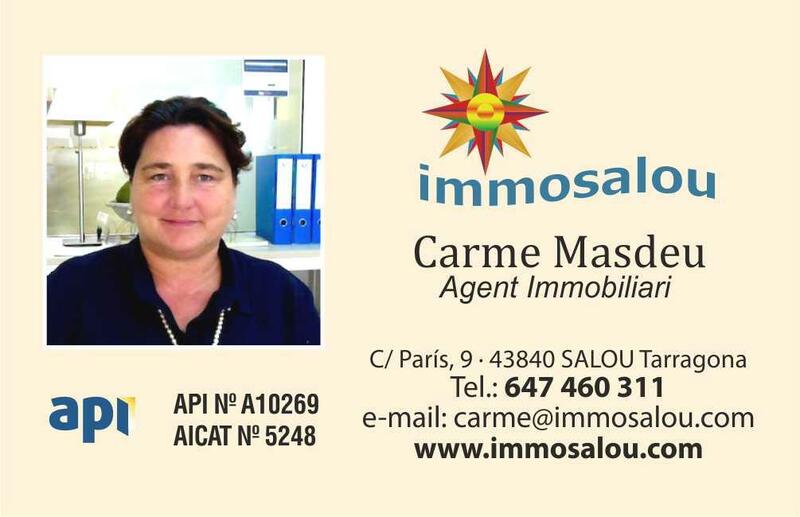 I am Carme Masdeu, real estate agent registered in the Registry of Real Estate Agents of Catalonia AICAT nº 5248 and member of Colegio API nº A10269. Our years of experience allow us to accompany you throughout the purchase / sale process of your property to advise you at all times and always watching your interest. We have a wide selection of properties and we have access to all properties that are for sale, individuals and professional colleagues.